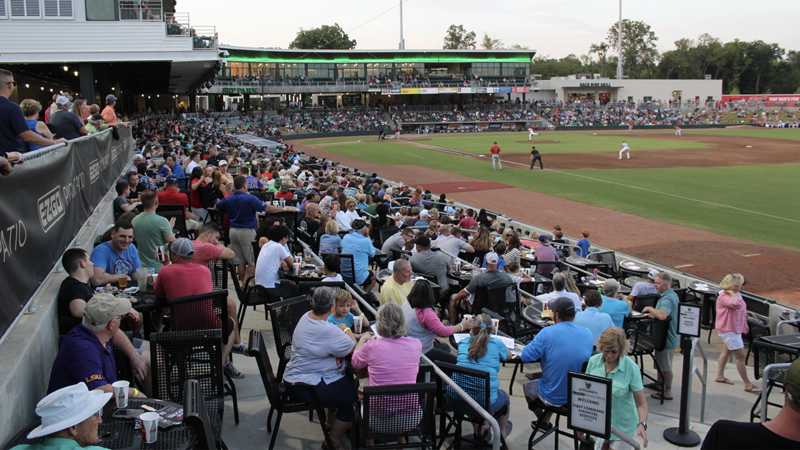 The E-Z-GO Picnic Patio located down the 1st base line is the ballpark's picnic destination for groups ranging from 20 to 300! The E-Z-GO Picnic Patio is the perfect outdoor location for your group! Whether you're hosting 20-300 guests. 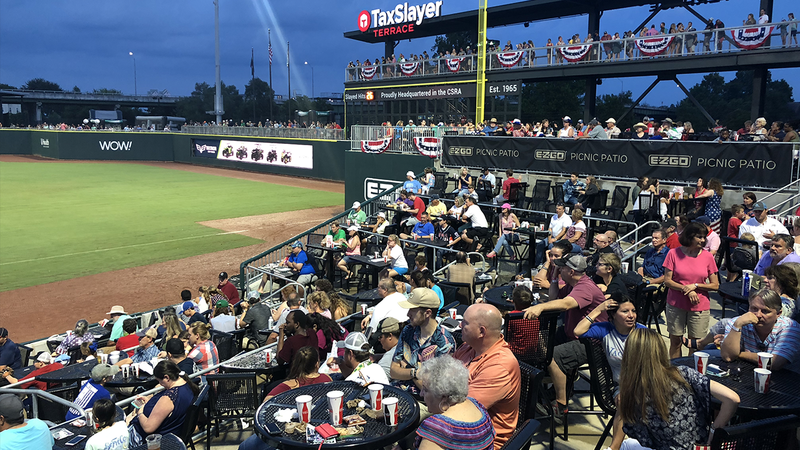 Our patio offers tiered seating with unique views of SRP Park adn the river during the game. Tiered patio that offers great views and makes you feel in on the action. When renting a space on the E-Z-GO Picnic Patio, you will get to enjoy a 90-minute all-you-can-eat buffet. Buffet includes: all beef hot dogs, hamburgers, pulled pork, grilled chicken, cole slaw, baked beans, chips, cookies, Coca-Cola fountain drinks, sweet tea, and water. 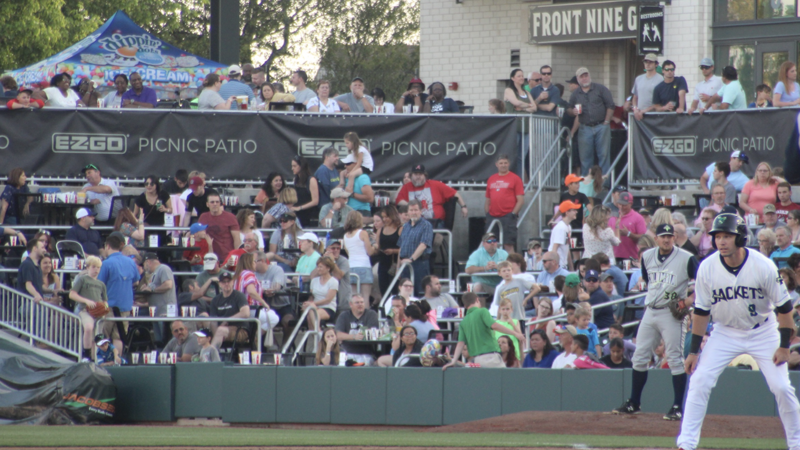 With an E-Z-GO Picnic Patio rental, you will get to see your group name heard and seen up on the Videoboard in front of thousands of fans. Instead of having to leave the E-Z-GO Picnic Patio to get hydrated, you will have your beer portable and Coca-Cola fountain drink machine. Unique tiered seating located down the Right Field line for a perfect view of the game.